It's easy to believe your toilet is the catch all for any sort of waste you want to dispose of, but there are actually quite a few things that your toilet should never swallow. As one of the top London Ontario plumbing services, we see all kinds of messes that could be easily prevented. 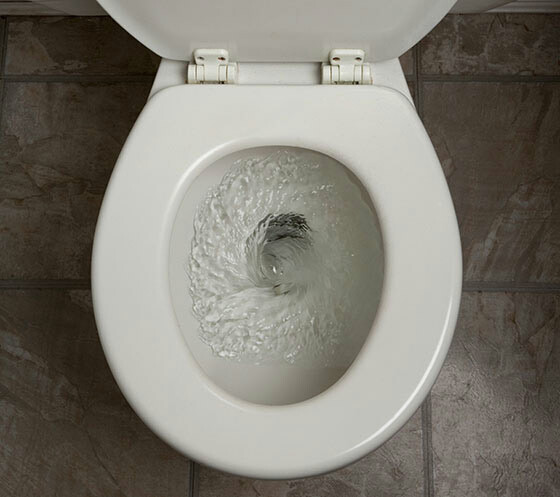 If you want to avoid bathroom chaos, and a toilet that's out of commission for a little while, here are ten things that you should never flush down your toilet. These are some of the most common things for people to confuse for being flushable. These products are far too cumbersome to be able to make it through the U-bend without clogging. Food fat in particular is a big problem for the sewage, as it congeals and becomes a binder once cooled. Corncobs, apple cores, bones, and other large food waste are not safe to be flushed. It's typical for the little goldfish to be flushed at the end of its life, but small rodent pets, like hamsters and gerbils, have also been flushed down the drain before. Regardless of if you've done it before, or if you've heard through your sister's best friend that they are small enough to flush, these tiny bodies can do quite a number on your plumbing. This is a big one for teenagers, who want to dispose of the waste before their parents come home. Unfortunately, it will be discovered eventually when London Ontario plumbing services have to come in for clogged pipes. Woodchips, left over paint, bits of drywall – all of it can cause problems for your plumbing. The larger pieces settle in and clog your pipes, while the paint congeals to cause similar problems to food fat. There are needle dispose baskets for many reasons. Needles are quite unhygienic and unsafe, and they can cause serious problems for your drainage. If they plug your sink, chances are they are going to clog your septic system, creating serious issues for your plumbing services. Coffee grounds can be put in your compost bin, and they also do a great job of fertilizing blueberry patches or other plants that like acidic soil, but don't break down well in your pipes. As with coffee grounds, it clogs your other drains so hair must also clog your toilet. Throw your hair out or use it as compost to better dispose of this natural waste, but certainly avoid flushing it. Neither of these are biodegradable household items. Even if you've bought the cardboard cotton swabs that may claim to be biodegradable, they are still better off in your trash. Plumbing services often have to remove floss and swabs manually from the sewage systems, or else from your pipes and drains. While these may not cause a huge problem for your plumbing, they do contaminate the water. Much of the water that is used in your plumbing is cleaned and recycled. The problem with harsh chemicals like bleach and detergents is that they're difficult to remove completely from the water supply, therefore coming back through your kitchen faucet. For the BEST London Ontario plumbing services, contact BEST Plumbing & Drainage Contractors for your estimate today.